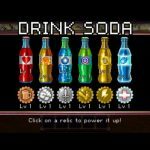 We already brought you the first part of our Soda Dungeon cheats and strategy guide and in there, we shared with you some general tips and tricks you can try, regardless of how experienced you are in playing the game. Now, we shall bring you our second part in this series, with more of those general tips we may not have covered in the first part. Let’s get to those Soda Dungeon tips. 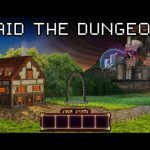 You may have wondered in the first part of our guide how things get started in Soda Dungeon, when it comes to hiring heroes. For starters, you’ll be dealing with only one or two fighters, which you can then hire on the spot, without paying a cent. As you move forward, you’ll be able to hire more skillful fighters, but regardless of their skill level, you should always equip them with the best possible equipment. 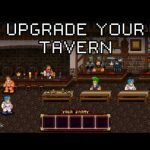 While we’re still in the topic of upgrades, we should add that soda upgrades are also important; it’s not merely about upgrading the stuff in your tavern. Tavern upgrades increase the count of fighters who show up looking for work, but it’s the soda upgrades you want to prioritize as well, as that allows better-quality warriors to show up at your door. The trick here is to upgrade your shopkeeper, as that would automatically upgrade his weapons and armor. You can then equip that on your fighter, then get the items back once the dungeon expedition is over. That way, you can have your team reuse those items the next time they have to get back to the dungeon. 4. What Else Can You Get After Boss Fights? Last time, we told you about how you could win some neat items and a lot of gold if you hit the jackpot after opening a door post-boss fight. These doors can also do more than just win you prizes; they can also be a gateway for you to a future level. It’s possible to get a fountain, which would be able to heal everyone in your party. And there’s also a chance you may win a bonus treasure chest. On the negative side, there’s a solid chance you may be attacked, or hit with a spell; for example, the drowsy spell could work on multiple party members, sending them to sleep when the time comes for their next battle. If you want more coins in a hurry, you can go to the Shopkeeper and make use of the game’s Liquidate feature. How does this work? If, for instance, you have multiple copies of the same item, the feature will determine automatically whether you do have more than five, and if you do, it will sell any excess copies you don’t need, and assign the remaining five to each of your team members, one weapon per member. Even if you don’t have five of the same item or more, you can go to the Shopkeeper and sell anything you no longer need, regardless of how many or how few you may have. For each unlockable character, you’ll need a certain reputation and a certain soda variety. Sodas improve reputation, but you can use other techniques to boost that reputation considerably. The Décor upgrade, for instance, adds another 50 points to your reputation, while the tables and stools in your place will also work quite favorably and gift you with some reputation points. The moment you unlock the Healers, you can then add some to your party – we recommend at least two on your team, and just as we said last time, equip them with your strongest items. They normally heal anyone who has just a third or less of their maximum hit points, which means you shouldn’t be on auto-battle mode that often; you can leave auto-battle, heal your fighters, then return to auto once they’re healed up. You probably never guessed that we’re including this tip, but we truly are. That’s because you can watch ad videos on Soda Dungeon, as long as they’re available. Tap on the coins counter and if it’s flashing, that means you can watch a video to get 750 coins per video watched. The catch here is that it might be a while before a new one arrives, though new vids tend to appear every two to three dungeon crawls. One additional thing to take note of is that if you’re not connected to the Internet, you can still tap on the coins counter. That will allow you to earn 750 coins even if you didn’t watch the ad; just be patient as it will show the words “Ad Loading” for ten seconds or so. You’ve got to give it to Armor Games. They chose the perfect name for Soda Dungeon’s final boss, and they called him Julius – Orange Julius, get it? Clever names aside, Julius is the Level 100 boss, and he’s quite a tough one to beat, so you’ll need to have two or more healers equipped with your best items. This is especially important, and so is fighting in manual, and not auto mode. Once you beat Julius, go through the old, now-repaired portal and all your items and gold coins will be reset. But you will get to win essence, relics, and other special prizes, and will get to keep all the upgrades you made on your tavern, thus eliminating the need to spend money on upgrades once you’ve reset.